Fashion labels are putting on their director’s hats, producing short films to promote their latest collections. Dolce and Gabbana started the dream-world trend when they launched their fragrances Pour Femme and Pour Homme. They produced a silent black-and-white film set in Sicily. The short showcases French model Laetitia Casta as a guest at a wedding, who daydreams about her own love affair while she watches the bride dance. The brand followed up their campaign with a string of print ads set in old Sicily. We couldn’t stop staring at the photos when they launched, mostly because we felt we were looking at a real-life snapshot and not a staged shoot. It’s a different ad campaign because the clothing, fragrance and accessories are just props. These new ads move away from seeing clothing as icons, preferring to focus in on how the clothing can build relationships. The latest brand to adopt the movie trailer campaign? Tod’s. 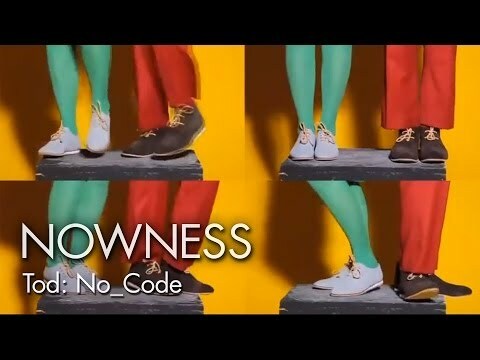 With the launch of No_Code, we’re seeing the brand swap their conservative style for quirky, lifestyle videos to build the lifestyle experience, and hopefully appeal to a new buyer.